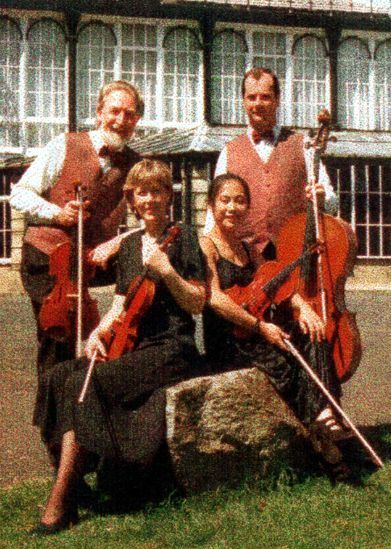 Bella Musica String Quartet is a professional ensemble based in North Staffordshire & South Cheshire in the UK, providing first class entertainment for any occasion - weddings, parties, corporate events, etc. All it’s members are fully qualified musicians who have between them studied at the Royal Academy of Music, Royal College of Music, and the Royal Northern College of Music. Individually they have performed with, amongst others, the Halle Orchestra, the Icelandic Symphony Orchestra, the Bournemouth Symphony Orchestra and the Orchestra Sinfonica dell’Emilia Romagna, Italy.